Do parents really want to be the first people to raise a hand to their child? The first people to hurt them? Do they want to introduce fear and pain into a relationship that’s supposed to be built on trust and unconditional love? I don’t think there’s any moral excuse for hitting children. 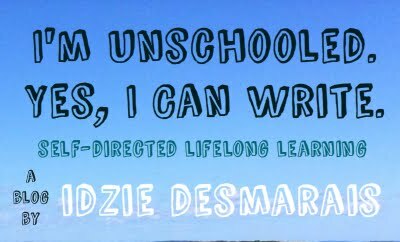 And if someone thinks that they can both unschool and strike their children, then they’ve failed to grasp the most important part of what unschooling is. Trust and respect children. Base your actions on an ethos of love and consent. It might not be easy, but it’s the right thing to do. My thanks to Nola for reminding me that simple is often better and suggesting this title when I was stuck.